I haven't had a beauty subscription box in some time, so I was excited when the opportunity came about to review Beautybox Five. I like the idea of subscription services because I love a surprise every now and then and you could end up with products you never would have known/tried otherwise. Of course, you could also end up with stuff you'd never use, but risk is part of the game, people! Are you game? Read on! Beauty Box Five is much the same as other subscription services in the fact that they provide monthly shipments of samples. Subscription is $12 for an individual month, $30 for 4 months, or $99 for the year. Pretty standard pricing compared to other programs. The box is compact in size, and doesn't contain any unnecessary packaging -like a box inside a box- which wins points with me. It does however lack any information card. It would be nice to have one, but the Beautybox Five website does link to all of the brands included in their boxes, so it is easy enough to find more info. As for the products I received, I got a pretty good mix of cosmetics and skincare. One of the most common complaints I've noticed from subscription service fans is the lack of actual makeup, so receiving three makeup products is quite welcome in my book. 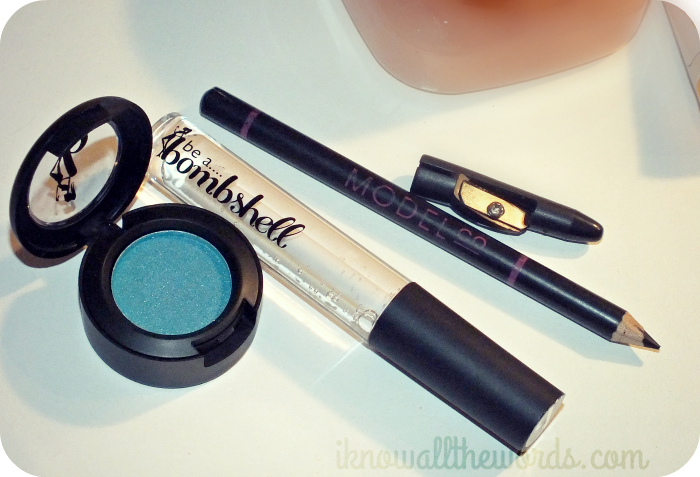 Two of the makeup items are from the brand Be a Bombshell, which I've never personally tried, but have seen on the odd blog or two. The shadow is quite nice- although not a colour I would have chosen for myself. The lip gloss is exceptionally nice as it isn't the slightest bit sticky. The Model Co. eyeliner... I'll admit I did judge it by it's exterior- the label is rubbing off and the wood is a bit beat up- but the cap was fully sealed. 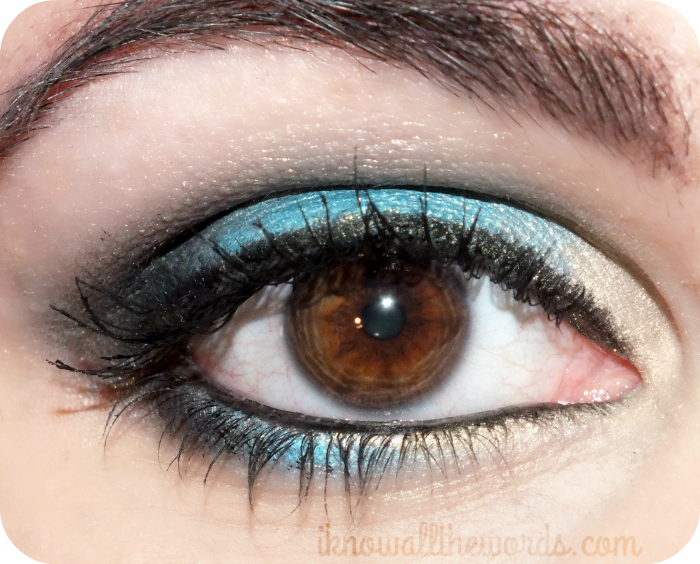 Getting past the tube, it is a great eyeliner. 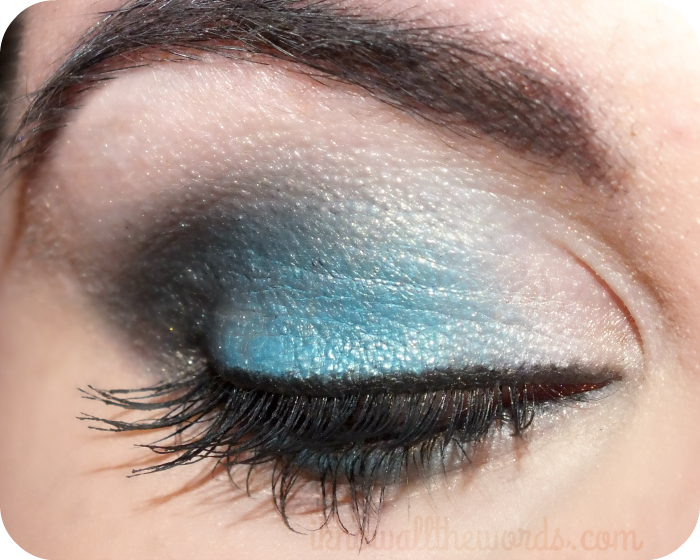 It applies nicely- particularly well on the waterline- and is opaque in one pass. 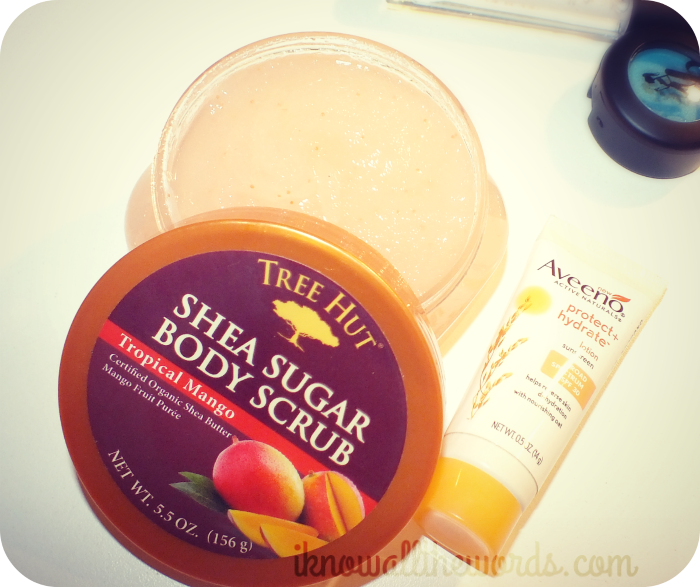 The other two items included a generously sized travel size pot of Tropical Mango sugar scrub from Tree Hut, which smells amazing and looks pretty promising, and a sample of Aveeno sunscreen. 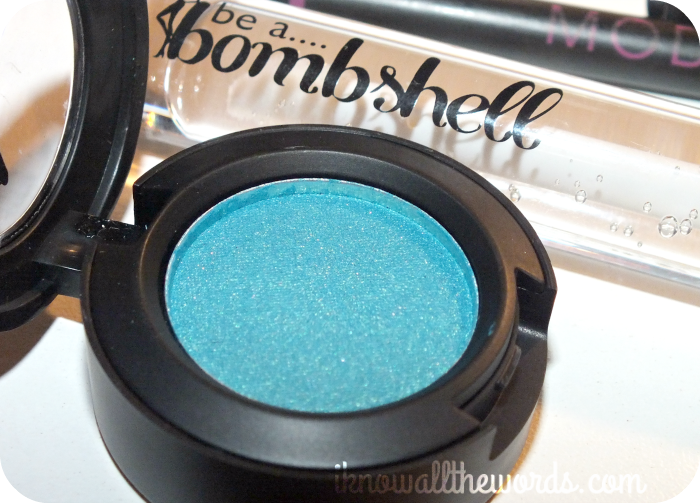 As mentioned, Be a Bombshell is a new brand for me, but I was quite impressed by their eyeshadow. 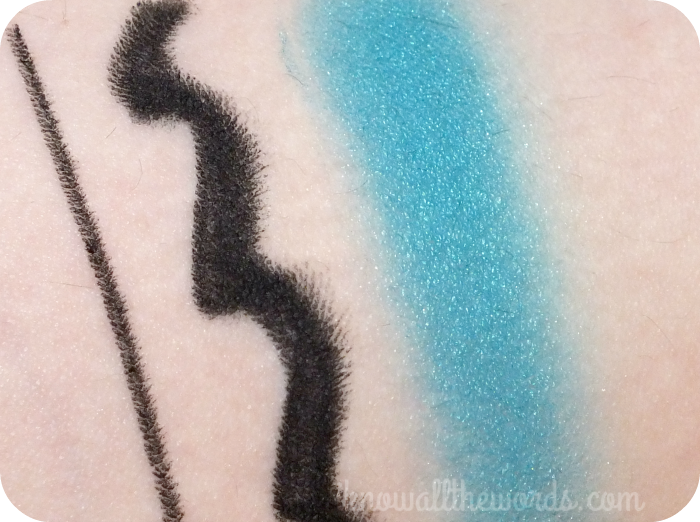 The shade Bora Bora (apart from making me think of Orange is the New Black) is a teal-y blue satin that has great pigmentation and applies smoothly. It blends well with other shadows and retains it's vibrancy. All around good stuff! Overall, I am quite happy with the items included in my Beautybox Five. The items I received add up to $50.99 (not including the Aveeno sample) so you are definitely getting your investment back. Beautybox Five ships to the US and Canada and has a gifting program if you'd like to send a subscription to a friend. Are you a fan of subscription services? 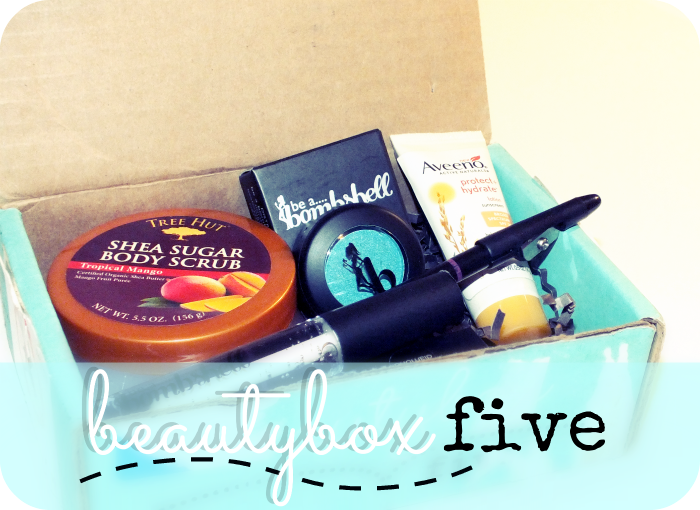 Do you subscribe to Beautybox Five?